Sometimes we gather inspiration from the oddest places... after all, that's what Curious and Clever is all about. Priced smartly from $15-$75, this witty promotion hits the target market seeking a highly hip and individualized gift, at a reasonable price. Very, very clever... and a good reminder that wit is everlasting and universal - like the cockroach. Fun fact: a colony of Madagascar hissing cockroaches can eat a large carrot in a single day. 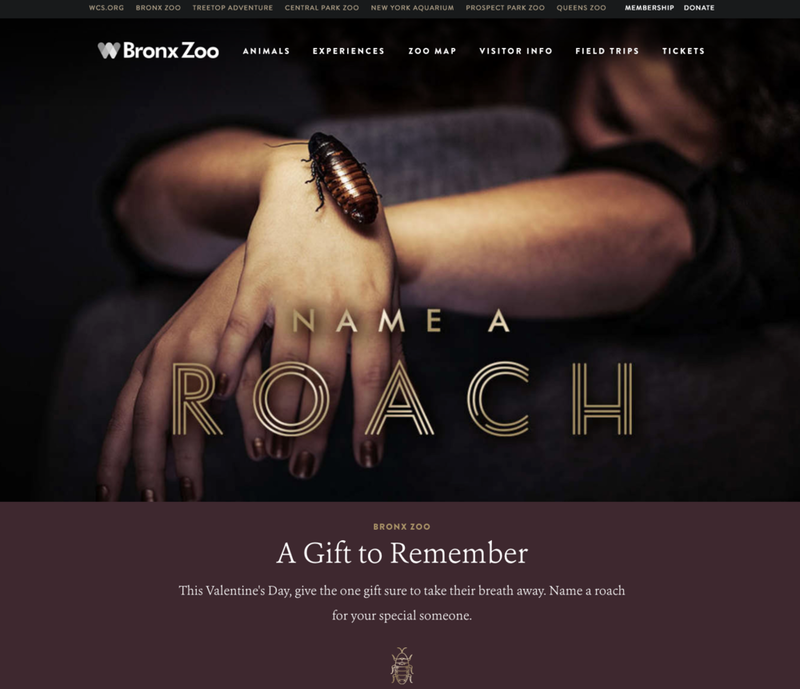 Photo credit: This is a screenshot of the Bronx Zoo's Name A Roach page on their website.